Are you new to church or the area? Welcome to The Anglican Church in Basel. We are an English-speaking international Church. All are warmly invited to join us, regardless of nationality and whatever church background (or none) that you come from! In this section, you will be able to find out more about where to find us, who's who, our core values and the history of our church. Q: Is the Anglican Church the same as the Church of England? Yes, the original "Anglican Church" was the Church of England which came into being at the Reformation when Henry VIII decided on a break with Rome. It is a Protestant Church. As Britain’s influence grew through an Empire so the Church of England was exported too. As the Empire waned and countries found independence so autonomous national churches emerged and the world-wide Anglican Communion formed. This is a network of Churches which share common roots in theology, worship, history and structure and includes churches such as the Episcopal Church of the United States. Each Province has its own Archbishop, and the Archbishop of Canterbury is the Primate. The key words are unity and diversity. The average Anglican now is male, coloured, under thirty five and living in an emerging southern country. Q: What are the distinctives of Anglicanism? Anglican theology is rooted in the Bible. It affirms belief in the Trinity, the divinity of Jesus Christ and His death on the cross, His bodily resurrection and the new life that flows from that and is received through faith. Anglican theology also values Tradition (the thinking of the Church over the centuries) and Reason (the insights of the world around). The doctrine of the Church of England and most other Churches of the Anglican Communion is found in the Thirty Nine Articles. This is a series of doctrinal statements formulated at the time of the Protestant Reformation, to be found in the Book of Common Prayer. There is great breadth of theological emphases and practice within the Anglican Church, ranging from conservative Evangelicals through to Anglo-Catholics. Anglicans believe in two sacraments, baptism and Holy Communion. Infant baptism is practised and all baptised believers are free to receive Holy Communion, in which the believer encounters Christ through faith. Confirmation enables people to affirm for themselves the promises made on their behalf at their baptism as infants. Anglicans also value the Church as an expression of the gospel in the world and the equal importance of Lay people and Clergy within it. The latter are deacons, priests and bishops. The Anglican Church is both a missionary Church and a pastoral Church. It seeks to express God’s love and truth in word and deed. It also seeks to work for unity among believers and active participation in ecumenical initiatives between different Christian denominations. Q: How does the Church of England structure itself? Imagine a massive tree. Out at the extremities are leaves, individual believers living out their faith in the world. The twigs which deliver nourishment to them are local Anglican (Parish) churches. These are part of a branch which is the Archdeaconry. In turn these branches join in a Diocese. Each diocese has a Diocesan Bishop. His assistant bishop may be called a Suffragan Bishop. These Dioceses in turn join together in the various Provinces which make up the Anglican Communion. In fact, the Church of England is made up of the Provinces of Canterbury and York. The Church of England is an established Church, which means that there is a strong and legal link between the Church and State. The Queen is Supreme Governor of the Church and the British Parliament is involved in ecclesiastical laws and the appointment of bishops. At each level there is opportunity for participation and representation in a system called Synodical Government. Each person who has worshipped for six months in our church or who was on an Electoral Roll in their previous church can show their commitment to our church by joining the Electoral Roll. This enables them to take part in the decision-making life of the local church, for example in the election of Church Wardens and Church Council at the Church’s Annual General Meeting. Together, the Chaplain, Wardens and Council are responsible for the ministry and management of that Church. All clergy and some lay members of the Church Council participate in the Archdeaconry Synod which draws together representatives from all the Churches in the Archdeaconry. A small number of these attend Diocesan Synod and in turn General Synod, where Church legislation and policy are made in the light of discussions at each of the other levels. The Archbishop’s Council directs the day to day running of the wider Church. In addition, many Anglican Churches have Patrons. These may be the descendants of a local Lord of the Manor who in past times provided for the employment of a clergyman and the building of a Church for his local people. The Patron could be a Missionary Organisation which planted the Church and continues to take an active interest in its ministry. This is the case in Basel where the Patron is ICS, the Intercontinental Church Society. ICS has a vision for ministry among English-speaking people living abroad. Why not consider joining ICS to help them start churches where new concentrations of English speakers are growing, such as in Eastern Europe. The Anglican Church in Basel is one of well over 150 similar churches in mainland Europe, which in 1980 were formed into the Anglican Diocese in Europe, the forty-fourth diocese of the Church of England. The Church of England is one of the sister churches of the world-wide Anglican Communion, comprising around 70 million members in all five continents. 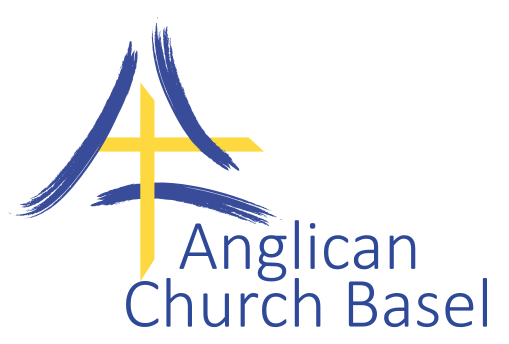 The Anglican Church is deeply committed to cooperation and unity with all other Christian churches, and we are delighted to welcome people of all backgrounds to share fully in the life of our community. Our services are in general held according to the rites and ceremonies of the Church of England, but we are keen also to draw on the insights and traditions of others. We enjoy a close working relationship here in Basel especially with the Reformed Church, which owns one of the buildings in which we hold our services, and with the Old Catholic Church with which we are in communion. The Church of England has also recently entered into communion with the Lutheran Churches of the Nordic and Baltic region through the Porvoo Agreement, and has a growing relationship with the Evangelical Church in Germany following the Meissen Declaration. Baptised members of all Christian Churches are warmly invited to receive holy communion if they so wish. 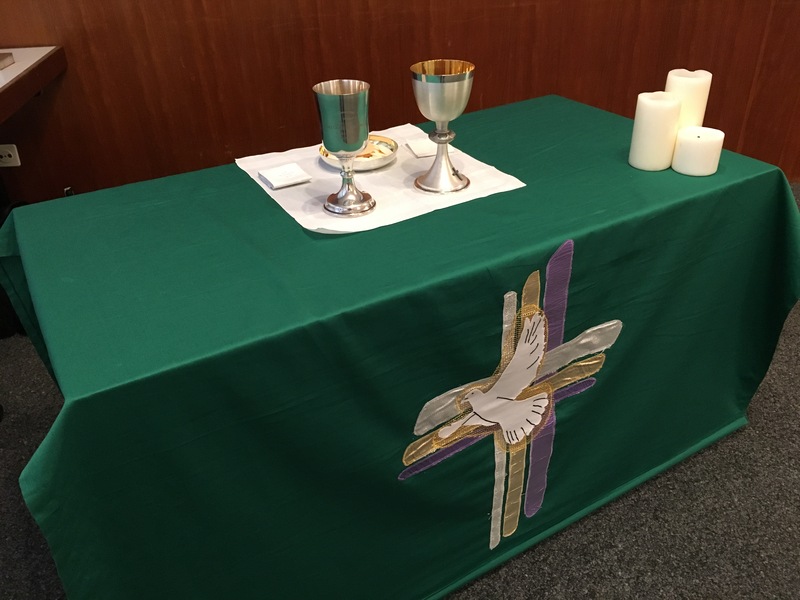 Younger children and those not wishing to receive communion are invited to come forward for a blessing at the administration of the sacrament. Those preferring to receive communion in one kind (only the bread) are welcome to do so. If you would like to know about our Church and its traditions, please ask one of the clergy who will be very pleased to help. The first known English-speaking service was held in Basel more than 400 years ago, according to the book 'Anglicans in Switzerland' by Paul Schniewind. In the 1550's a group of English families began to hold services in their homes at the Clarakloster. Then in the 1850s, the first seasonal chaplain, the Revd. R. Mosley, was sent to serve the Basel region. By the turn of the century, the service was being held in the Three Kings Hotel. It wasn't until 1928 that the Basel congregation became an official parish of the Church of England, with the Reverend R. H. Courtney as the chaplain. Services were held at different venues until after World War II, although records show that one of the current sites of worship, the St. Nicholas' Chapel in the Münster (Cathedral), was used for a Christmas Day service in 1927. In 1946, the Reverend M. M. Vischer began serving as chaplain for both Basel and Berne, later replaced by the Reverend B. Gray, who also served both chaplaincies. To help meet their goal of having a permanent chaplaincy in Basel, congregation members set up the first annual Anglican Church Christmas Bazaar in 1955. This popular holiday tradition continues today, with around 2000 people attending the bazaar each year. A permanent chaplain was finally appointed for Basel in 1957. The Reverend A. E. Borthwick served until 1972, when Canon Tom Roberts began nearly two decades of service, followed by Rev. Dr. Jonathan Gibbs (1992-1997) and Rev. Geoff Read (1998-2013). Our current chaplain is the Reverend Hilary Jones. We hope you'll join us in this long tradition of worshipping with the English-speaking community in Basel.